Game 1 from this play session. I tried some new things like a Hit Point counter and player hit indicators so that you can hopefully follow along more easier. Please leave a comment telling me what you think about these things! I’m back to uploading Nerf War videos folks. If your familiar with my videos, you’ll see this is the same church that I’ve played in before. But it’s a little different from my previous games/videos because in these, for the first time ever, I’ve opened up some of the doors. This allows for another dimension to the game, since there’s both inside and outside. This was my last session of games in which the Stryfe Masterkey was my main primary blaster, so look out for plenty of Rapidstrike gameplay in the future. 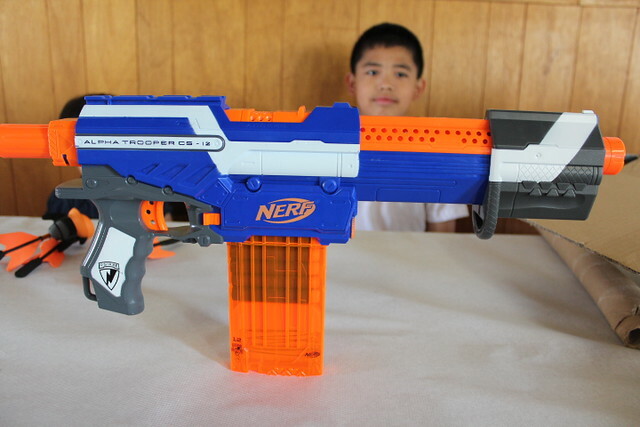 Also, this was the day after I had received my Mega Centurion blaster sample, so look out for a bit of gameplay with it in the videos below. Game 2 from this play session. I tried some new things like a Hit Point counter and player hit indicators so that you can hopefully follow along more easier. Please leave a comment telling me what you think about these things! Head down below to see 5 more different gameplay videos. The Unboxing and quick firing test video. Check the rest of the post for more photos! 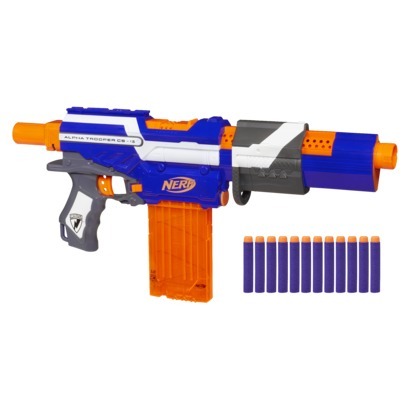 Target.com has updated their old Alpha Trooper CS-18 listing a bit. 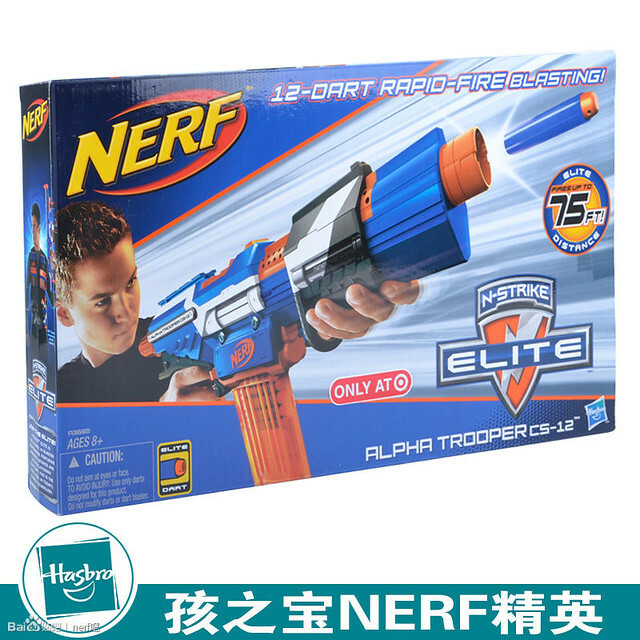 The photos shown for it are of the new Elite Alpha Trooper CS-12, while the product description still mentions it as the “Alpha Trooper CS-18” and refers to it’s matching 18 dart drum. The listing says that it’s not being sold in stores yet, but The DCPI code is 087-11-0118. For those who don’t know how that works, it’s quite simple. The DCPI number is Target’s unique number listing for their items. If you can’t find the item on shelves, take the code to Target, find someone with those big hand held scanners, or find someone working the computers in the electronic section. Tell them that you can’t find the item, but you have the DCPI code for it. Once they input it, it tells them how much they have in stock, what other Targets have it in stock, and how much stock they have in their stores. If they have it in stores, but it’s in the back, you can usually ask someone to pull it out of the back, and you’ll be able to purchase it at the counter. You can view the whole listing here. Ways of getting the famed Elite Alpha Trooper are slowly making it’s way across the internet. A 3rd party selling has started selling them on Amazon UK for £29.95, even though the suggested retail price for the blaster is about £19.95. The price their selling it for converts to about $45 USD. I tried adding it my cart to see the shipping cost, which is almost as much as the blaster, and the total cost was in the 90s. Guess I’ll be waiting for Target’s in the USA to get theirs until then. 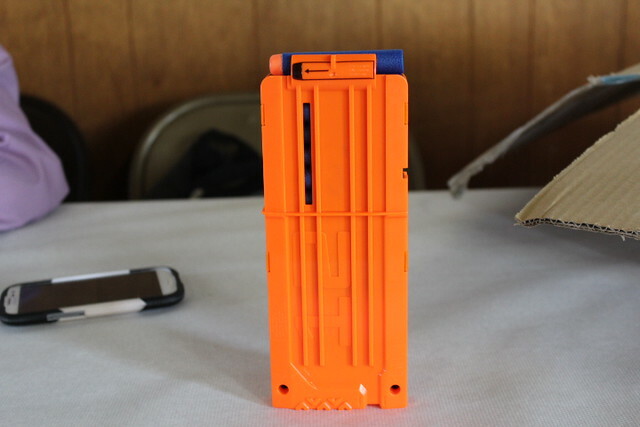 MyLastDart has talked with a contact of his at Target, and he’s getting a May 15, 2013 as an estimated release date for this blaster being released in USA stores. You can check his original post here, so keep your eyes and ears open around this date for the blaster finally coming out! Photo found on Baidu. 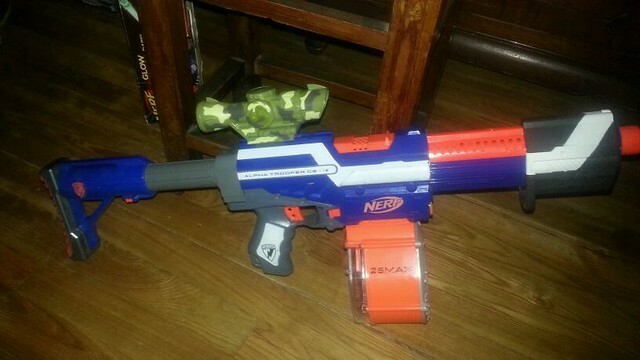 Once again, this blaster looks good to say the least. We’ve gotten solid looks at it through leaked photos. Once again this is coming out in the USA in Spring as a Target exclusive. If your in the UK, March 30 is the date you need to watch out for. That’s only a little over two weeks. In the meantime, you can continue to droll over the box art and this other photo spotted on Baidu. 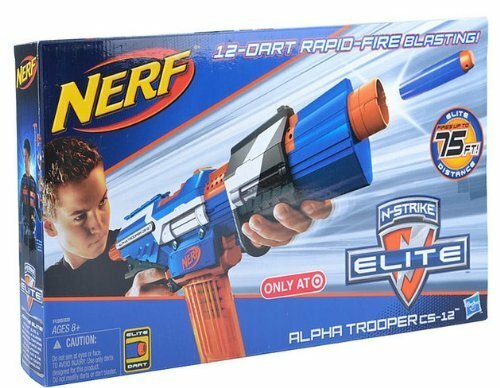 N-Strike Elite Alpha Trooper hitting the UK late April or early May? Above is one of the newest comments from my Elite Alpha Trooper news video. If you go to their site, it says that it’s out of stock, and there isn’t any options available for local store pick up or home delivered. You can check the Argos website listing here. If you have problems viewing, you may need to clear your browser’s cookies. MyLastDart also mentioned that he’s having issues with getting his Elite Alpha Trooper, citing a “distribution issue” as the reason. 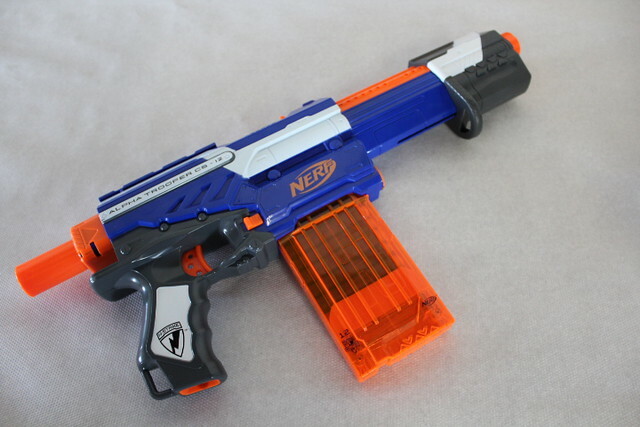 Hopefully we all get this upcoming blaster sooner then later!